The Great American Write–In is an Orange County tradition. 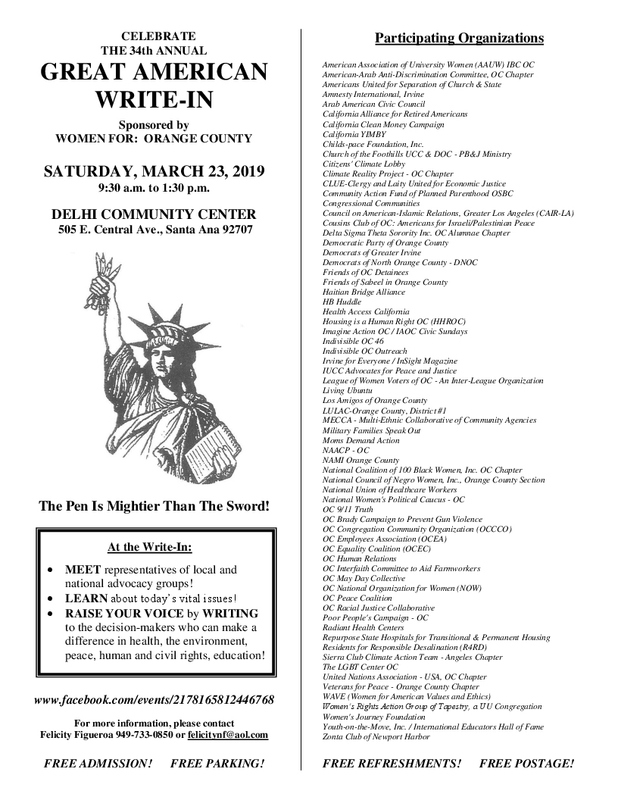 Held in early spring on a Saturday, this letter-writing jamboree motivates hundreds of citizens to take action on vital issues by writing their legislators and other leaders. Free Admission! Free Parking! Free Refreshments! Episcopal Diocese – HIV Program / Shanti O.C. From South follow Barranca Parkway to Dyer, then right on Halladay to Central and turn left to the Delhi Center. From the 55 Freeway, exit at Dyer West, then follow directions above. From the North or West follow Warner to Maple, turn right to Central, and left to the Delhi Center. 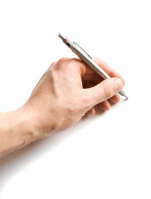 Discover that the pen is mightier than the sword! Meet representatives of local and national advocacy groups! Learn about today’s vital issues! Raise your voice by writing to the decision-makers who can make a difference in health, the environment, peace, human and civil rights, education. Women For: Orange County is a grassroots advocacy and educational organization. As engaged members of the community, we take action on local, state, national, and international issues. We believe in building a more inclusive democracy, cultivating peace by meeting human and environmental needs, empowering women, and creating a sustainable world of shared prosperity, freedom, and justice. Networking with like-minded groups, we focus on the following goals to help enact our shared vision. Most of the groups represented at the Great American Write-In reflect the stated goals of Women For: Orange County. In a few cases, groups have been included that deal with controversial issues on which Women For: Orange County has not taken a public stand. No participating organization may be anti-choice, racist, or sexist.